Sewing machines with a range of impressive features and creative possibilities, as well as an incredible diversity of designs. Pure creative endeavours require tools that offer freedom and precision. Luckily, you’ve come to the right place for both. South East Sewing is our sewing machine, accessories and software venture. Our prices include delivery and for qualifying machines, in-house set-up and a full half-day instruction either in your home or at our purpose-built training facility. The choice is yours! The newest, most advanced PFAFF® creative icon™ sewing and embroidery machine combines the PFAFF® legacy of high performance with all the best-in-class features you demand. 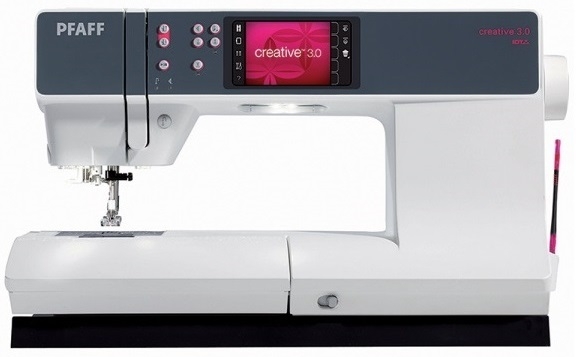 The PFAFF® creative™ 4.5 sewing and embroidery machine offers a range of impressive features and creative possibilities, as well as an incredible diversity of designs. CALL 01323 848894 OR MESSAGE US FOR BEST PRICE AND AVAILABILITY. Quilting is one of the most exciting forms of artistic expression. It needs a sewing machine which fulfils quilters‘ needs and gives their imagination free rein. 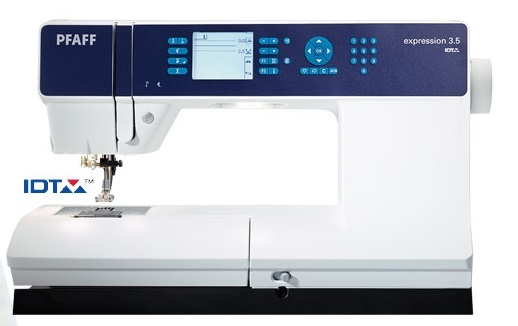 Let your creativity run free as you experience the quilt expression™ 4.2 sewing machine. Realize how exciting modern quilting can be! This sewing machine has more to discover than you can imagine. Turn the machine on and realize the potential of the highest level of precision. The sewing comfort and perfection you need in a modern sewing machine. The difference is in the details! The PFAFF® passport™ 3.0 Sewing Machine is feature-rich yet compact and portable, so is ideal for taking to classes and for travel. Despite its small size and low weight (14.7lbs/6.7kg) , it still incorporates many Pfaff innovations including the legendary IDT™ system. Instruction and Education in the use of you new machine.